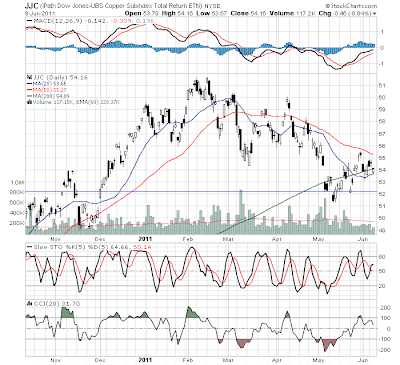 The aura of macro-economic negativity should not be good for copper. Copper should decline too. The technical set up is interesting. 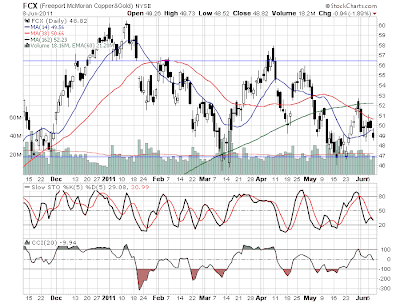 It is not as oversold as the rest of the market, and it looks to want to come down. 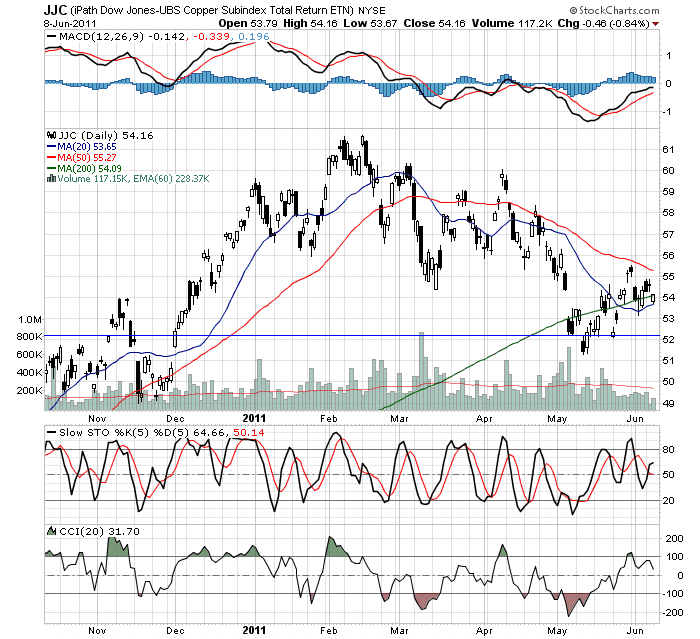 The copper chart corroborates the technical set up of FCX. The oscillators suggest FCX has room to go down before getting oversold, and the SMAs are acting as resistance. There appears to be no support until 47. If the jobless claims are really good tomorrow (so good that the number is in the 300K range, which I kinda hope we see) the market should rally hard. If we see a rally (and I am hoping we see one), I will most likely add to this short.